Biodegradable lubricants have molecular structures with the capacity to degrade biologically over time thru the processes of bacterial decomposition or by the enzymatic biodegradation of other living organisms such as yeast, protozoans and fungi. These biodegradable bases are often derived from vegetable oils including rapeseed oil, castor oil, palm oil, soybean oil, sunflower oil, corn oil, hemp oil or chemically synthesized esters. 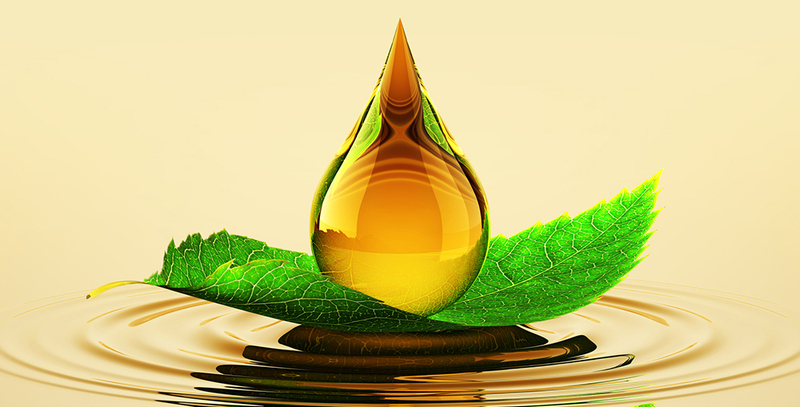 Bio-based lubricants in general have excellent lubricity, a high flash point, and a high viscosity index. They are less toxic than mineral based lubricants due to their biodegradability and they are often renewably produced. Because of their biodegradability, bio-based lubricants may be inferior to mineral based oils in oxidative stability, requiring chemical modification through hydrogenation. Different biodegradable lubricant products decompose (biodegrade) at different rates. According to an ExxonMobil document on “Marine Lubricants,” inherently biodegradable products biodegrade at the rate of “20% in 28 days or 12 weeks, depending on the test.” Readily biodegradable products, also referred to as “ready,” means biodegradation “greater than 60% in 28 days, and 60% level is reached within 10 days of reaching the 10% mark (’10-day window’ criterion) using unacclimated bacteria.” Readily biodegradable materials biodegrade quicker and more completely than inherently biodegradable materials. From most biodegradable to least, you have vegetable oils to synthetic ester oils to mineral based oils. Specifically around bodies of water and waterways, use of biodegradable lubricants are required by federal and state laws – especially within the state of California. To ensure the protection of our coastlines, oceans, rivers, streams, lakes, reservoirs and irrigation canals, biodegradable lubricant products are required to prevent contamination from spills, leaks and accidents in general. The EPA and USDA have outlined strict requirements pertaining to the usage of biodegradable lubricant products, and the USDA has also created a BioPreferred® Program that aims to “Increase the purchase and use of biobased products… spur economic development, create new jobs and provide new markets for farm commodities. The increased development, purchase, and use of biobased products reduces our nation’s reliance on petroleum, increases the use of renewable agricultural resources, and contributes to reducing adverse environmental and health impacts.” With this program, the USDA aims to create mandatory biodegradable purchasing requirements for federal agencies and their contractors as well as voluntary labeling initiative for biobased products. An SCL consultant can support you in making decisions when it comes to choosing the proper biodegradable lubricant for your specific needs – protecting your assets while optimizing engine performance.